Hi everyone, today I'm participating in a blog hop with members of the So Suzy Design Team. As a member of So Suzy's first design team, I am thrilled to showcase some of So Suzy and Crackerbox Stamps. 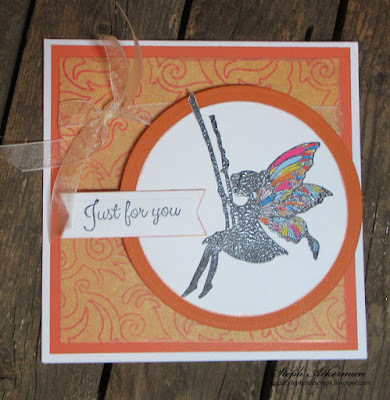 I've used Swinging Fairy and the Just for you sentiment for my first card. 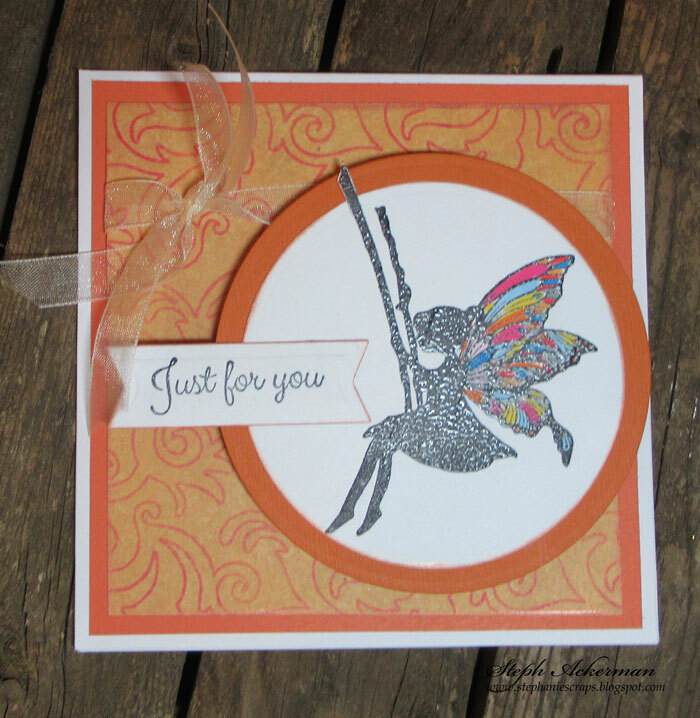 After stamping her with Memento Tuxedo Black Ink and embossing with Clear embossing powder, I die cut the fairy and then matted her with a larger die cut circle. Her wings were colored with Memento Markers. She was placed atop a pattern paper panel which was wrapped with ribbon. The sentiment was stamped, embossed and die cut, then added to the card with foam adhesives. My second card uses Feathers and Birds along with Feathers and Angels. Delicata Inks by Imagine are light and delicate inks that were wonderful for this card. I wanted the card as soft and delicate as the stamps. 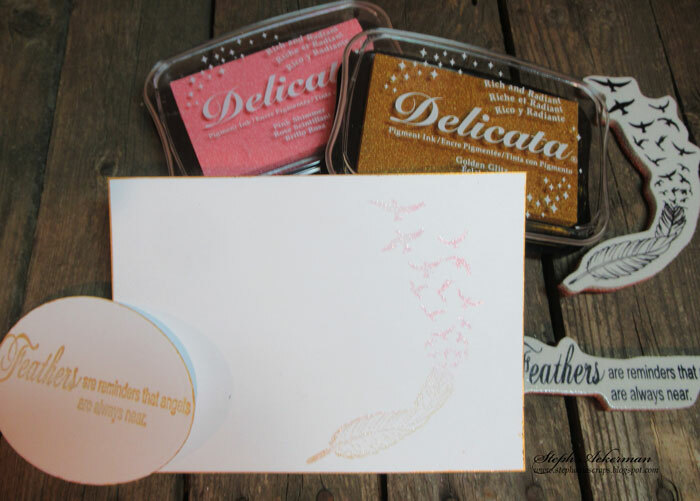 I first stamped the Feathers and Birds in Gold and Rose Gold, then embossed with Clear embossing powder. The phrase was stamped and embossed then die cut and matted with a larger die cut. Around the card I added drops of IrRESISTible in Wedding Dress. Please stop by designers noted below to see what they've created. Very pretty cards - really in love with the feather one. TFS! Love all the ideas using stamps from this new to me company. Will be checking them out more and more!!! Beautiful cards! I don't really know this company that well& am enjoying the hop & all the creativity!! 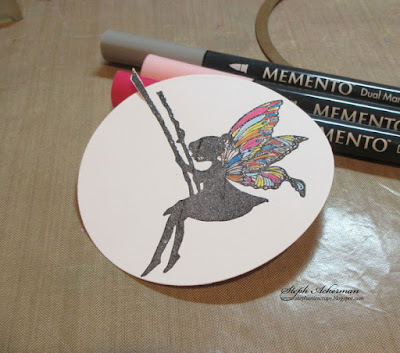 Beautiful cards and I love the colored fairy wings. So pretty. I especially am loving the Feather card! Beautiful color choices and designs for both cards! Lovely cards! The Swinging Fairy image is a favorite! Lovely cards! 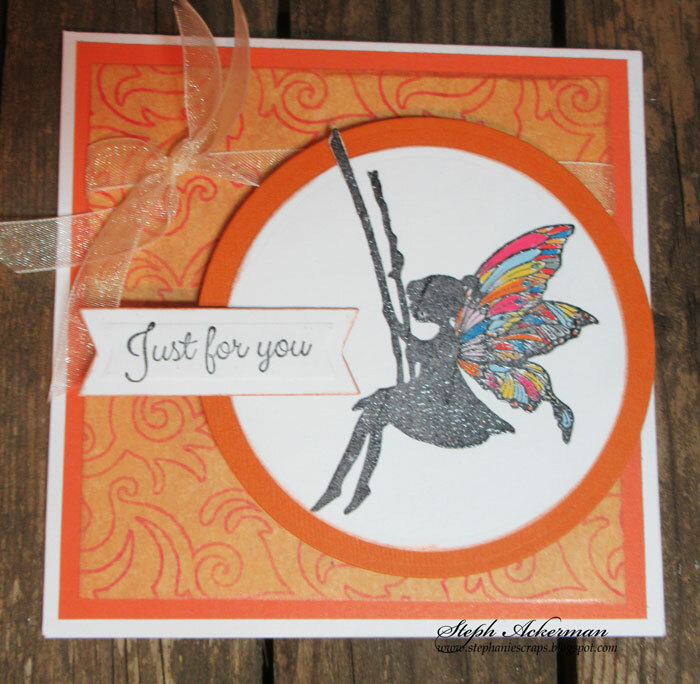 Great colors on the orange card and I love the ethereal feel of the feather card. Your cards are so beautiful! Love them!! I like these sweet card designs. Gorgeous cards. Love the detail on the wings of the fairy. And that feather stamp is awesome. Beautiful cards I love them both! Your cards are so lovely and delicate ! I love the little fairy so much !